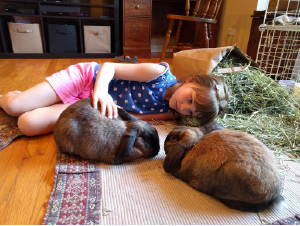 Rabbits are a good first pet for young children | Make Mine Chocolate! 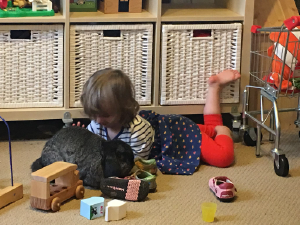 Young children may not understand that rabbits are not like dogs and cats. 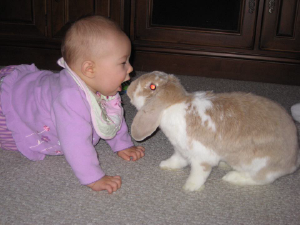 Rabbits are prey animals and sudden or rapid movements can frighten them. 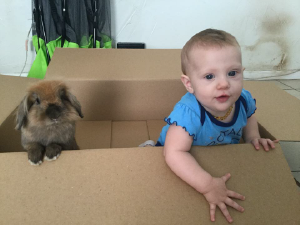 Most rabbits don't like being picked up and may bite or kick if lifted up and held. 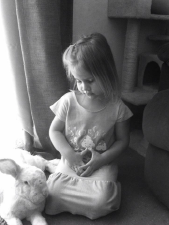 Rabbit bones are fragile and can break if the rabbit is dropped. 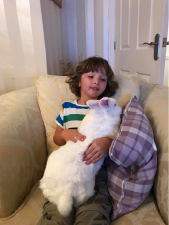 However, a rabbit can be a good addition to families with young children if at least one adult is committed to always supervising the child with the rabbit. 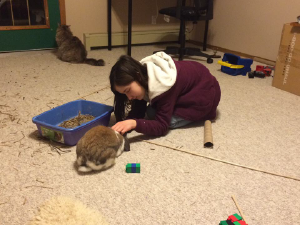 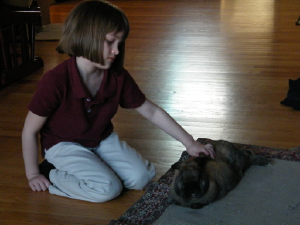 An adult can teach the child to interact safely with the rabbit by laying on the floor with her and letting the rabbit approach. 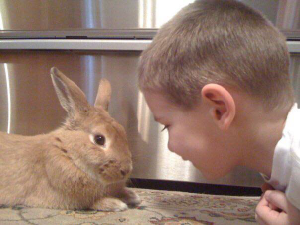 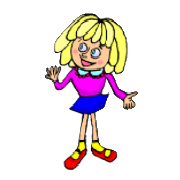 Young children can be taught to respect and enjoy the rabbit's quiet, sensitive and curious personality.